Going back a few years down memory lane, I recall how I used to take pride in mastering that perfect bowl of a steaming soupy Maggie, when I was 14. Well if you were to ask me nailing a perfectly balanced (neither uncooked nor soggy) noodles, lump-free well blended masala with finely chopped veggies did take efforts. 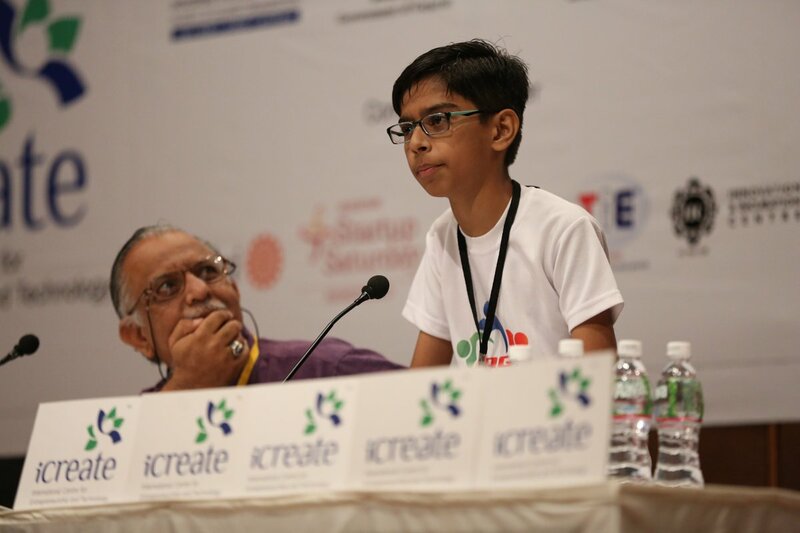 But then again there are times when you come across a child prodigy like Harshwardhan Zala, and you feel it’s time you re-evaluated your achievements and your goals. At 14 years of age, when the biggest responsibility in a teen’s life is successfully cracking their board examinations, here is Harshwardhan who is the only teen to have signed a Rupees 5 crore MOU (Memorandum of Understanding) with the Department of Science and Technology of Gujarat Government. Besides, Harshwardhan also happened to be the highlight in the 8th edition of Vibrant Gujarat, held from 10th to 13th of January, 2017. Vibrant Gujarat is a biennial event that serves as a platform for bringing together thought leaders, investors, business leaders, policy makers and so on to understand and explore business opportunities in Gujarat. The thing that made little Harshwardhan the talk of the nation is the 5 crore worth of MOU he signed with the Government of Gujarat wherein he shall be assisting it in the production of landmine detecting drones. A lot of deaths in the battlefield occur while soldiers try to manually diffuse a landmine. The drones designed by Harshwardhan come equipped with infrared RGB sensors, thermal meters and 21 megapixel cameras backed by mechanical shutters. These drones while flying about two feet above the ground shall send out waves up to eight square meters to detect any landmine in the area. Where the drones shall communicate their locations with the base station, the cameras shall help snap hi-res images. And that’s not even all. The young genius from Gujarat has enabled the drones to carry bombs upto 50 grams of weight so that they could also destroy the detected landmines. Harshwardhan had been working on drones on his own and had set up an interface with a base station too. It was after he realized the need for some rectifications, that he fixed a payload that would detect landmines around its vicinity. He had been working on its designs since 2016 and his parents had funded his first two prototypes with Rupees 2 lakhs while his third prototype was funded by the state. Harshwardhan has registered for getting his designs patented and his company shall be known by the name “Aerobotics”. However an important as well as interesting thing to note is that Harshwardhan is as ordinary a child as you or I must have been. His father Pradhyuman works as accountant in a plastic firm, while his mother Nishaba is a homemaker. Not scientist or secret service agents. Not that I think, may be it was just sheer pleasure or dedicated passion that made this young achiever the genius he is today. Well, whatever be the reason all I would like to end up with is that it is the dedication of such geniuses that makes us a little prouder to be Indians.